Nearest fuel: Harvey or Brunswick about 20km distance either way. We had been waiting a long time to re-visit Brunswick so we could finally give our followers some muddy adventures, taking on steep hilly tracks loaded with mud rocks and ruts. 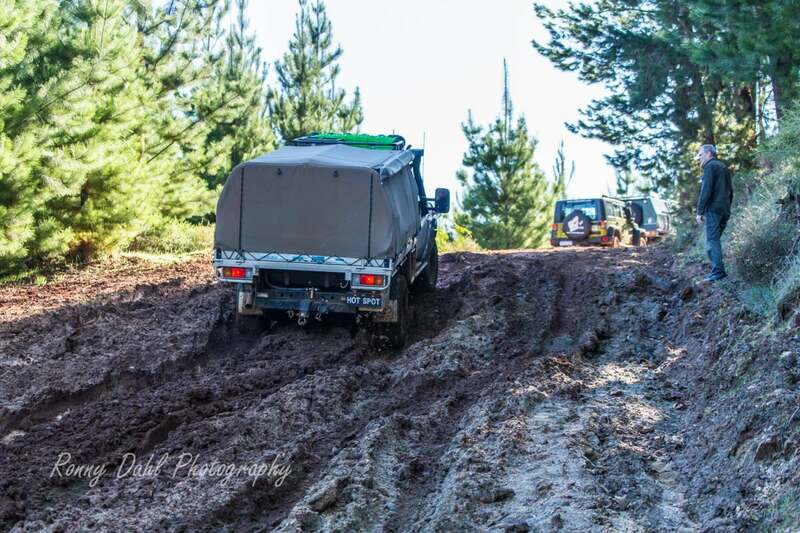 Providing it's winter and there has been rainfall our featured Brunswick 4x4 challenge track will please even the seasoned 4 Wheeler with modified 4x4's as some tracks can be near impossible without modifications. 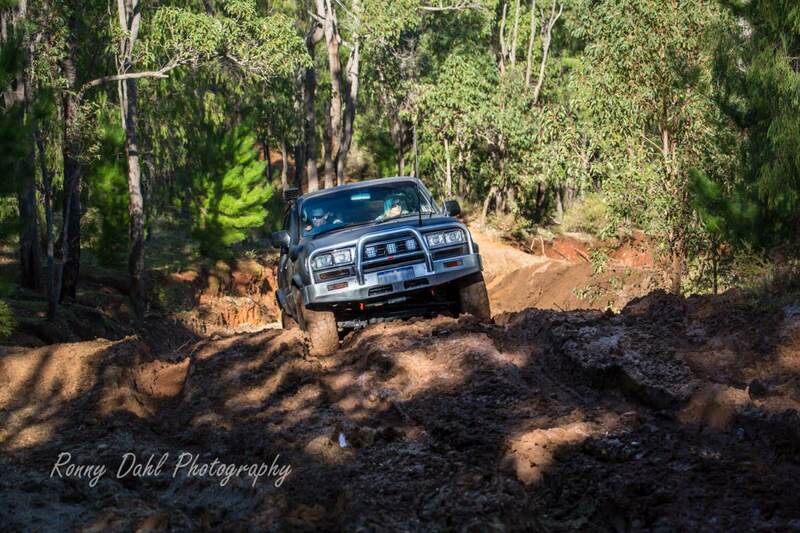 Toyota Land Cruiser climbing muddy hill on The Brunswick 4x4 Challenge Track. We have had a few brief visits to Brunswick in the past, we were more just passing through on the way to Wellington national park and one time I had a failed CV boot on the previous Hilux, which kind of limited our search for tracks. Level terrain is hard to come by, along our featured Brunswick 4x4 Challenge Track. A good action packed track with plenty of tricky sections which will require clever wheel placement, track building and grit! 3 river/creek crossings, 2 massive hills, one of which is an awesome climb, plenty of tricky short but very steep hill climbs and more mud than you could handle in one day if you visit during winter! Brunswick 4x4 challenge track in DETAIL, use with GPS points. If you use the way points below this will make more sense, we even show you how to enter them into Google Earth at the GPS way points segment at the bottom of this page. The adventure starts at the corner of Camford road and Mornington road. Mornington road will take you to Camford road which is the entry/starting point. Air down right here! Recommended psi is in the track conditions below. Engage 4x4 and keep heading along Camford road into the Brunswick plantations. Along the way it's quite noticeable of what might be ahead as there are many views of hilly landscape, it doesn't take long before "Log river crossing" entry will be reached. Once at the entry, head downhill into the small clearing. 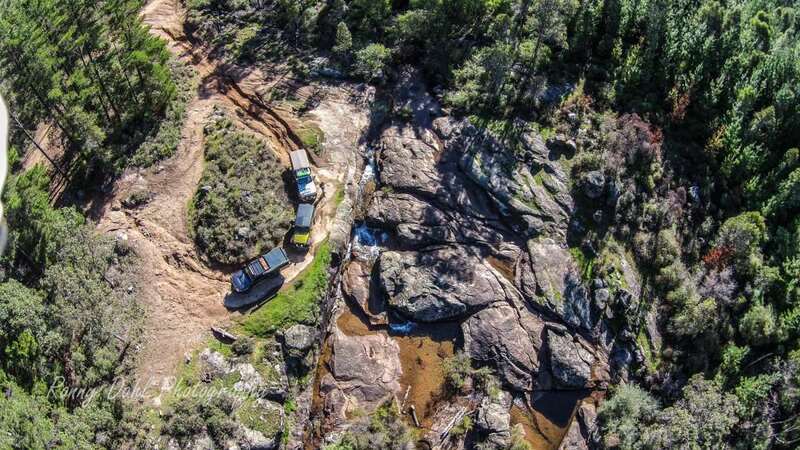 It's very possible there will be campers in there, don't worry about them as they will be used to 4wd's passing by as "Log river crossing" is a main access route for off-roaders. Take care crossing as most vehicle wheel tracks WILL be wider than the crossing itself and careful wheel placement on one of the logs will be required. Once across Log River crossing keep straight on, up Big Hill, which will seem to go forever (in a good way), after a while it opens up and becomes quite wide, keep straight on until Way point BWP5 is reached. Head west towards BWP6 by crossing the intersection, then head up the steep hill on the other side and follow the track around to BWP7. At BWP7 head west again, after a short 100m keep to the left track (Y Junction BWP8). From here it’s a big long hill descent which turns into a hill climb half way, keep going until the end is reached (BWP9) and then simply follow the track around to the right (heading north). BWP9, follow the fence line for about 1.2 kms and a rather tricky section on a steep descent will begin (BWP10), take good care with wheel placement and avoid jarring the brakes as it may send your vehicle down sideways which you do not want here! BWP10, after the tricky descent another very trick section will appear, this section (BWP11) is in the video on this page. It’s a muddy descent littered with rocks to a creek crossing with a rather tricky steep hill climb on the other side. Take care of vehicle damage here as there are some big rocks which the unlucky vehicle could slide back onto due to the lack of traction on this muddy hill. Speeding up is not an option, this short hill climb requires spotting and perhaps even some track building with the loose rocks lying around. Winching is not the best option either as the top of this hill is a main track. 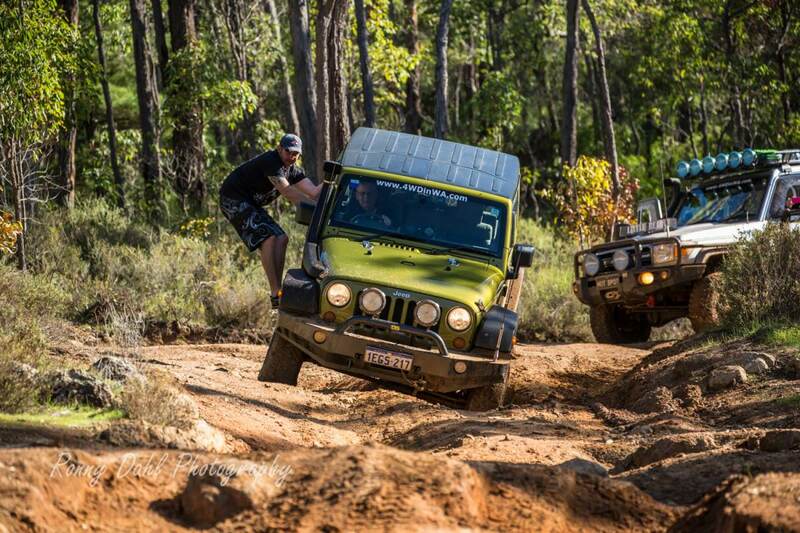 If winching is the only option make sure there are people on the lookout for off-roaders at the top. There will need to be a vehicle to act as an anchor point at the top as there are no trees to winch off. At the top of the hill is BWP12, turn left at the top. A short 230m drive away from BWP12 is a very steep hill climb; this is what we named “Big Daddy Mud Hill” (BWP13). Big Daddy Mud Hill requires 2nd gear low for the entire 440m of some of the most fun you will have climbing a muddy hill. Stopping on this hill is not a good idea, however if stuck half way reversing to one of the 3 steps on the hill may give you a fighting chance of restarting the climb rather than reversing the entire way down. Once at the top of Big Daddy Mud Hill (BWP14) turn right heading east and keep going until a clearing has been reached (BWP15), by this time lunch or food stop may be on the cards. Try however to hold off as the next part of this journey will take you to the “best” lunch stop in these hills that we know of. Pass the clearing and stick to the right and once at BWP16 (470m from BWP15) take a right turn. Aerial photo of a clearing near the top of "Big Daddy Hill" climb. Once the next point (BWP17) has been reached follow the track bearing right until “Rocky River Clearing” appears, this is THE lunch spot. (Take your rubbish out with you when you leave and please pick up any rubbish others may have left behind). After lunch head further south following the track to another river crossing (BWP19), once across take an immediate left turn heading south east up the hill, once at the top (BWP20) take a left turn and travel 400m and take another left at the Y junction (BWP21). Creek crossing near "Rocky River Clearing". 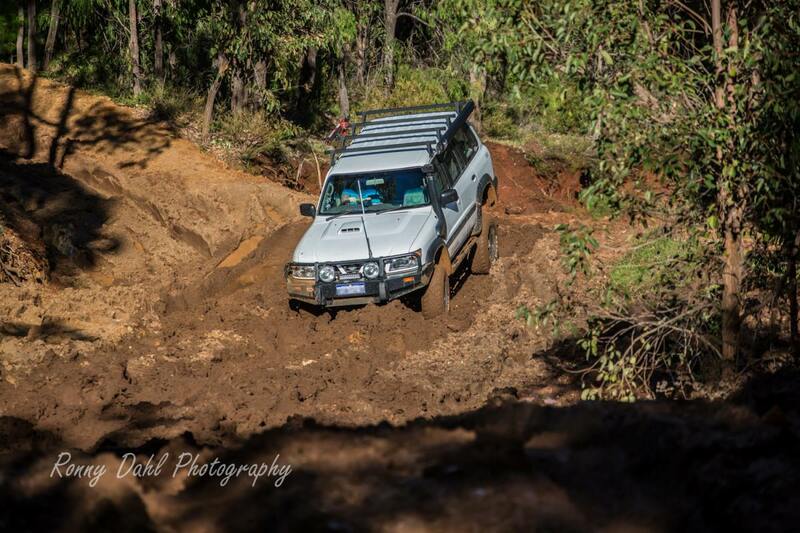 Follow this main track/road which is Camford road (the road the Brunswick 4x4 challenge track started from). Camford road will lead to Big Tree Road (which is the exit road BWP22), bear left here and simply follow this road (for 5.8kms) until Mornington road is reached (BWP23), and this is the end of the Brunswick 4x4 Challenge Track! In winter we would strongly recommend approaching with caution! Only go if accompanied by experienced 4wder’s and recovery gear is an absolute must! The tracks are rutted, slippery, and very steep, littered with rocks. Many are semi hidden and wheel placement along with approach and departure angles are important. Deep ruts are common along Brunswick 4x4 Challenge Track. In summer caution is still strongly advised as the soft edges in winter are now rock solid, vehicle damage is more likely in this case, but traction is high providing recommended psi advise is followed. Recommended tyre psi is 16-25, low range gearing is a must in summer and winter. High clearance 2 inch lift kit or more recommended for all vehicles. 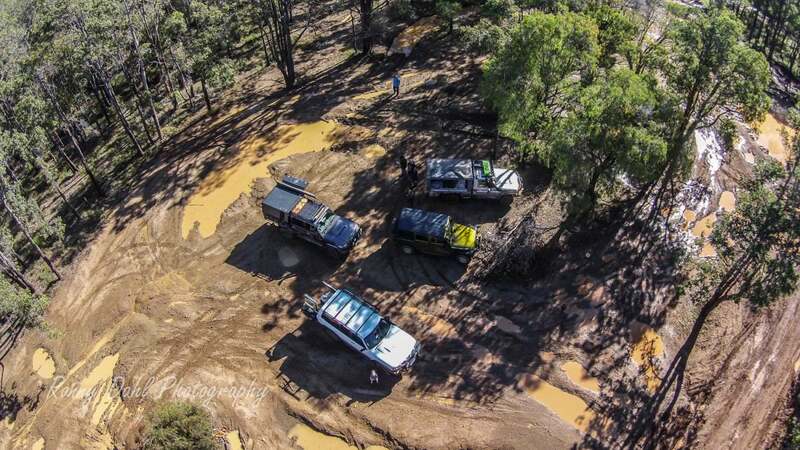 Bringing a stock vehicle to the Brunswick 4x4 Challenge Track is not recommended! If this is your first time off-road do not follow this featured track! 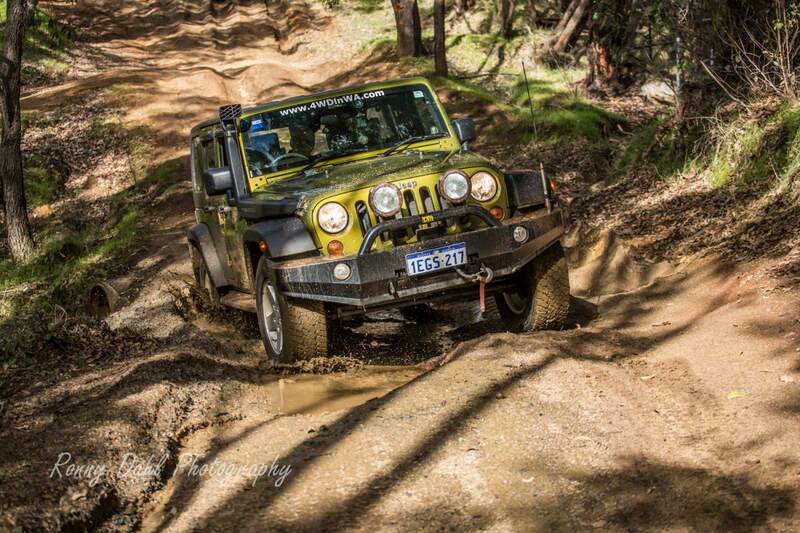 Take on the Brunswick 4x4 Challenge Track. 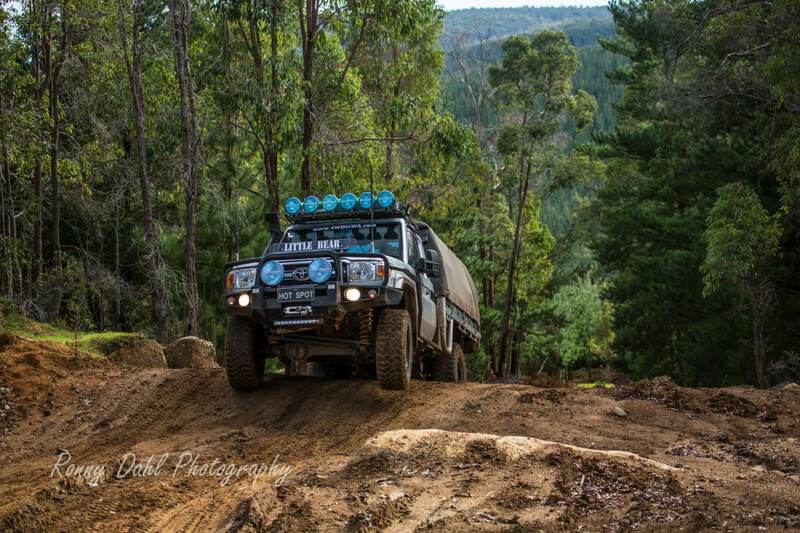 Enjoy some of the best 4x4 hills W.A. has to offer. Winter is hands down the best time; however summer would still be well worth it. Cross the intersection by heading up a short steep hill. Head West by turning right. Keep left on narrow track. Follow fence line to the north (turn right). 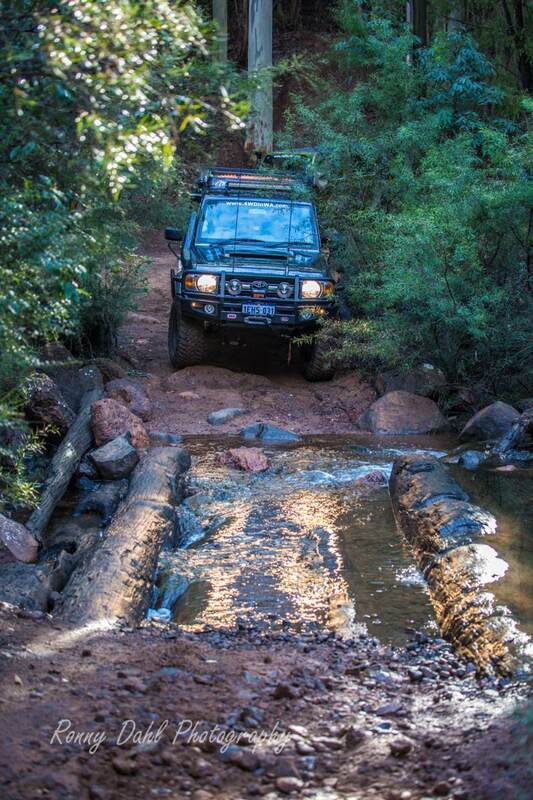 Creek crossing with a tricky hill climb. Turn left heading North West. One of the best muddy hill climbs you will ever experience! 2nd gear low the entire way! Open area, head north past through the clearing and turn right heading East. Stay with the south track until you reach "rocky river clearing". Turn left after crossing the river heading up the hill. Head north east by turning left. Head north by turning left. Follow this road to Camford road which is pretty much done by keeping to the main gravel road. This will take you to Big Tree road if you wish to head home, or continue exploring. Left for Big Tree Road or right for more exploring. The end of the journey, don’t forget to air up and disengage 4x4. 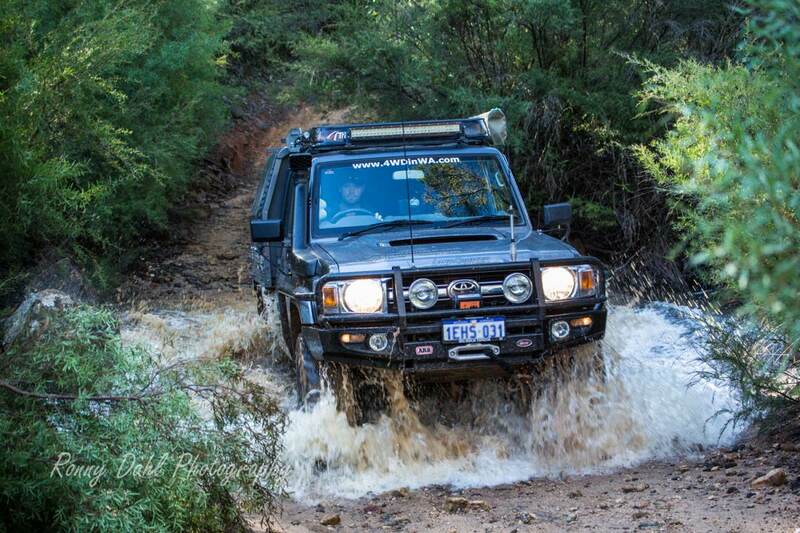 Leave Brunswick 4x4 Challenge Track And Go 4 Wheeling In Western Australia.